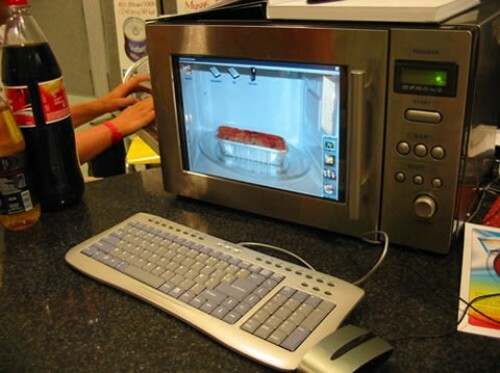 The next time you head over to your microwave to cook up a cup of Ramen noodles, you might think to yourself, “What can I do with this microwave that would better fit my needs as a single nerd?” And then you’ll forget all about it and realize your noodles are getting cold. This is definitly one of the coolest PC mods we have ever seen. And certainly the most visually accurate to the intended inspiration. If it weren’t for the icons on the desktop and the keyboard sitting in front of it, we might not even realize that this is a computer.